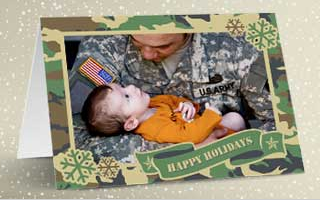 Zazzle would like to help you send your holiday wishes to the troops overseas. 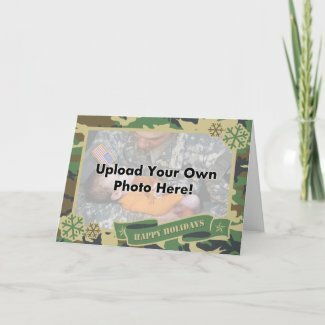 Just customize one of the templates below with photos and/or text and Zazzle will send the card completely FREE. All you need is an APO/FPO address. 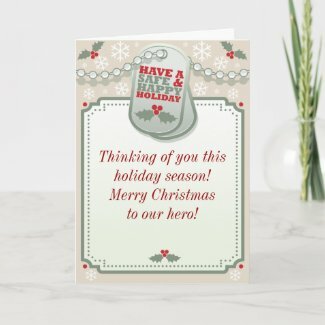 Our heroes overseas deserve all the holiday wishes and Zazzle is proud to be able to bring them some good cheer. 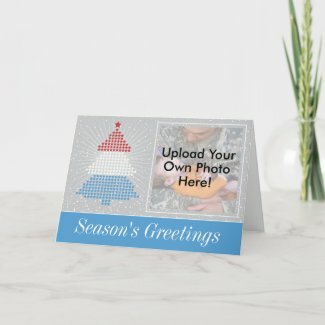 Start customizing your holiday card today! Add to cart and proceed to check out. 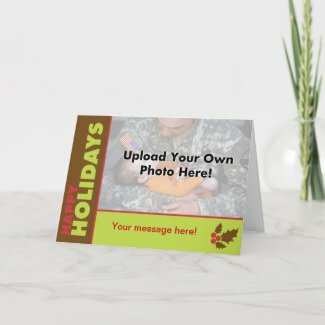 Enter the coupon code MILITARYCARD into “Zazzle Coupons/Gift Certificates” field and proceed to the next page. Submit your order by pressing "Place order now." Your personalized card will be on its way within 2-3 business days. 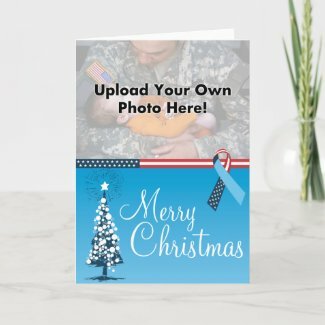 100% of card net sale price is deducted when qualifying holiday military card greeting card is purchased from http://www.zazzle.com/freemilitarycards and the coupon code MILITARYCARD is applied at checkout. Offer does not apply to create your own cards. Offer does not apply to card orders of two or more. Buyer is not responsible for shipping and handling and sales tax charges. Failure to comply with promotional offer conditions may result in order cancellation. Offer is valid through December 17, 2011 at 11:59pm PT. Offer does not apply to past purchases and may not be combined with any other Zazzle promotional or volume discount offers. If a volume discount applies to your order, you will receive either the discount set forth in this offer or the standard volume discount, whichever is greater. Offer valid on Zazzle.com only.